After the very interesting flick Nil Battey Sannata director Ashwiny Iyer Tiwari is all set with her next venture, titled as Bareilly Ki Barfi. This movie with quirky title, features Ayushmann Khurrana, Kriti Sanon & Rajkummar Rao in lead roles. Set in Uttar Pradesh, it was went on floor in October and the team has already wrapped up the shooting in Lucknow. Backed by Junglee Pictures & BR Studios, Bareilly Ki Barfi is slated to be released on 18 August next year. 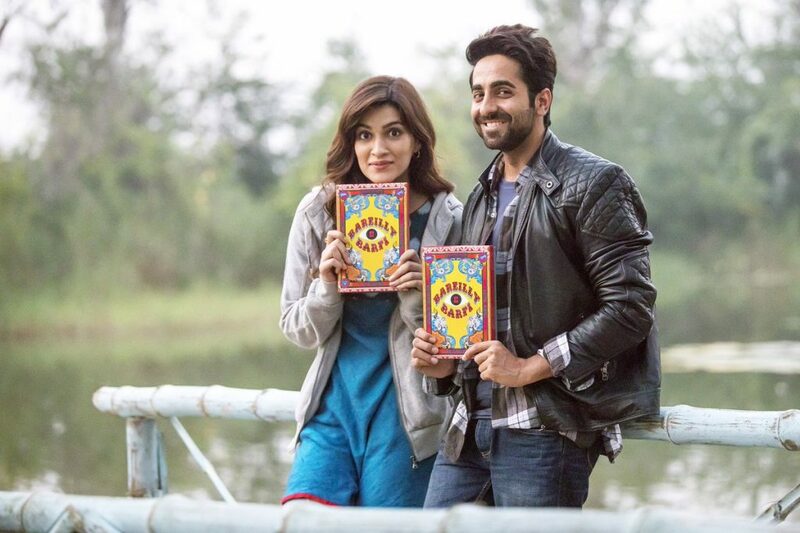 Recently the makers and the lead stars, have made an announcement regarding the finalized release date, also revealed the first look of the movie that showcases Ayushmann & Kriti in feel-good mode. As it was intended, the first look has created good buzz among audience. Reportedly in this romantic-comedy Bareilly Ki Barfi, Ayushmann will be seen as the printing press owner, Rajkummar as an author and Kriti as a candid-liberated girl. The leading lady tweeted, “#BareillykiBarfi coming to spread some sweetness on 21st July 2017 😁 @BRStudiosLLP @JungleePictures @BareillyKiBarfi”. On the other hand Ayushmann, who is very excited as his two movies Meri Pyaar Bindu with Parineeti and this one Bareilly Ki Barfi, are getting released next year. Meanwhile Kriti & Rajkummar also have their hands full with other projects. Recently she has wrapped up Raabta with Sushant Singh Rajput, scheduled for 9 June 2017 and these days Rajkummar is shooting in Chandigarh for the upcoming 5 Weddings with Nargis Fakhri. The director Ashwiny also took twitter to express her excitement, she wrote, “Excited!After #nilbatteysannata exploring a new genre.A slice of life story which will spread happiness! @BareillyKiBarfi on 21:07:17 😀🙏🏽 “. 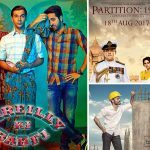 Note: Earlier Bareilly Ki Barfi was scheduled to be released on 21 July 2017.